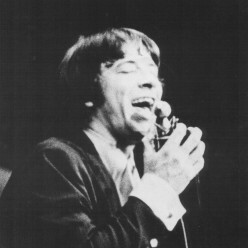 Stewkey Antoni was the lead vocalist and keyboard player for the Philadelphia-based 60's band Nazz. Later, Stewkey was in the bands "Fuse" and "Sick Man Of Europe," with Rick Nielsen and Tom Petersson of Cheap Trick. He is now writing, recording, and performing again! 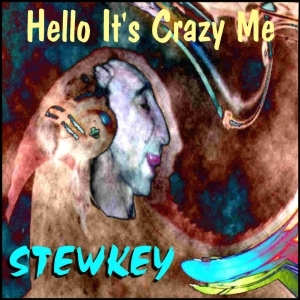 As evidenced by the "Hello It's Crazy Me" release, Stewkey has a lot of music ready to deliver! To see photos of his recent appearance in NYC, please click here. Also, watch for a DVD of the historic comeback show to come your way soon! Currently, Stewkey is recording new material for an upcoming album! THE HISTORIC RETURN OF STEWKEY - VOICE OF THE NAZZ!!! 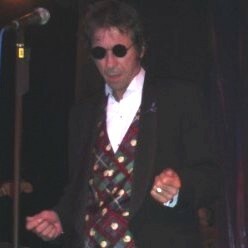 On Friday, August 1, 2003, "STEWKEY OF THE NAZZ" debuts his new show entitled "STEWKEY - THE NAZZ AND THEIR TIMES", featuring his new 6-piece band in a very special "Warm-up" show. Returning in earnest to the performing stage, STEWKEY will be rocking with abandon, performing 2 full sets featuring the classic songs of "Nazz" and the artists that influenced them, such as The Who and Cream! Fans can also expect to hear the first ever live performances of Stewkey's new material! in this show have NEVER before been performed live, even by the Nazz themselves! Stewkey promises that he and the band will be faithfully honoring the Nazz songbook with full "RUNDGRENESQUE" vocal harmonies! The perpetual love generated by the audience is returned ten-fold by Stewkey, and fans can expect to be moved to tears by this triumphant return! Stewkey has released a new limited edition CD that features the guitar work of Otto Capobianco. "Hello It's Crazy Me" contains two wonderful and distinctly different versions of the classic "Hello It's Me." 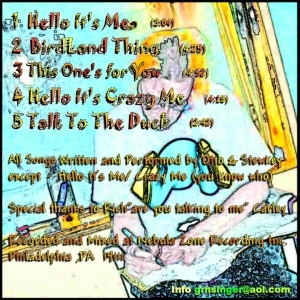 "Birdland Thing" is an excellent track that has a very contemporary sound with strong vocals. "This One's For You" harkens back to the Nazz-era sounds and showcases the beautiful voice of which Nazz fans are very familiar. And "Talk To The Duck" is a very entertaining song that you just have to hear! Notes: These CDrs have been duplicated, signed, and numbered by Stewkey himself! A very limited number will be distributed.